The browser is the most important component, when setting up security - and cookies are a common challenge. Cookie filters are adjusted differently, for each browser. Consider the multiple domains used by Blogger / Google - and layered security, on any computer, used by the owner and readers of any blog. Setting the cookie filters in Chrome. With Chrome, you enable cookies, using Settings ("Customize and control Google Chrome") - aka the 3 dot toolbar icon. 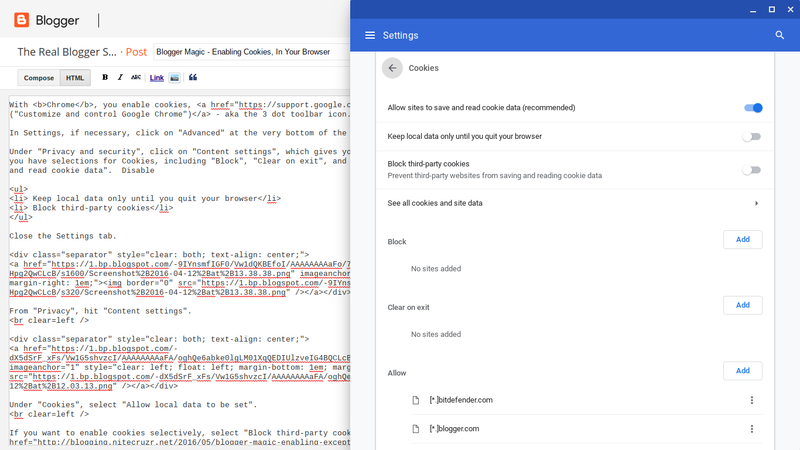 Under "Cookies", select "Allow sites to save and read cookie data". If you want to enable cookies selectively, select "Block third-party cookies and site data". Then use "Manage exceptions", and add "blogger.com", "google.com", and any addresses which apply to your blog. Setting the cookie filters in Firefox. With Firefox, you enable cookies, from the browser menu - aka the 3 bar toolbar icon, using Preferences - Privacy. 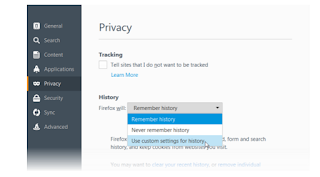 Under History, select that "Firefox will:" is set to "Remember history" then "Use custom settings for history". That will give you an array of settings. Close Preferences. Settings will be saved. Note that any Firefox add-ons which filter cookies, and offer more detailed options, will have to be dealt with, separately. Select "Remember history", then "Use custom settings for history". If you want to enable cookies selectively, change "Always" to "Never". Then use "Exceptions", and add "blogger.com", "google.com", and any addresses which apply to your blog. Setting the cookie filters in Edge / Internet Explorer. With Edge / Internet Explorer, you enable cookies, using the browser menu, selecting Tools - Internet Options. Optionally, you may access the "Internet Options" applet directly from the Windows Control Panel. Edge / IE uses a zone defense setting, where you designate "blogger.com" and "google.com", in Security, as being in the Trusted zone. Please note that "blogspot.com" should not be in the Trusted zone. You enable Cookies under the "Privacy" tab. Move the Privacy slider to the bottom, to allow all cookies. Setting the cookie filters in Opera. With Opera, you enable cookies, using the Advanced tab, in the Preferences wizard. Select "Accept", to accept cookies from all sites. Setting the cookie filters in Safari. 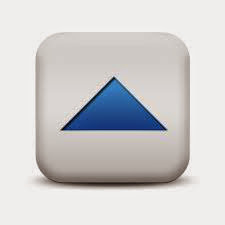 With Safari, you enable cookies, using the Preferences wizard. The Privacy wizard, in Preferences, contains selections for cookies ("Cookies and website data”). Select "Always allow", to enable third party cookie access. Cookie filters cause half of the problems reported, with many Blogger features. Maybe 50% of the problems, reported in Blogger Help Forum: Get Help with an Issue, with many Blogger features involve cookie filters. 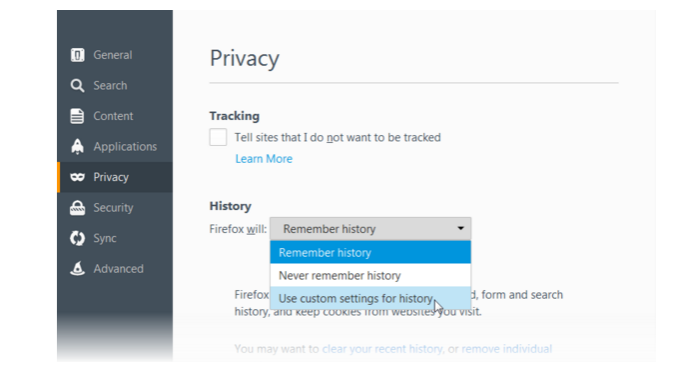 Stats and the "Don't track ..." option used to involve third party cookies, for many years. In March 2016, "Don't track" was rewritten to run under the URL of the blog, when being set - and now requires enabling scripts from the blog URL. Many computers have other relevant settings, which block cookies. Many blog owners and readers will have computers, and networks, with additional protection. Cookies, in the browser, may not be the only filter that needs to be checked - but this is a start, to learning how to control the cookie filters. Having checked and corrected your cookie filters, continue by checking browser script filters - then check cookie and script filters, outside the browser. Be aware that many settings may not be obvious - and that both obvious and obscure settings may be updated, without your intention or knowledge. Google Accounts Help: Enable or disable cookies. Many #Blogger problems are cause by overly restrictive cookie filters. If you, a blog owner or reader, are going to use Blogger successfully, you need to configure your browser properly.